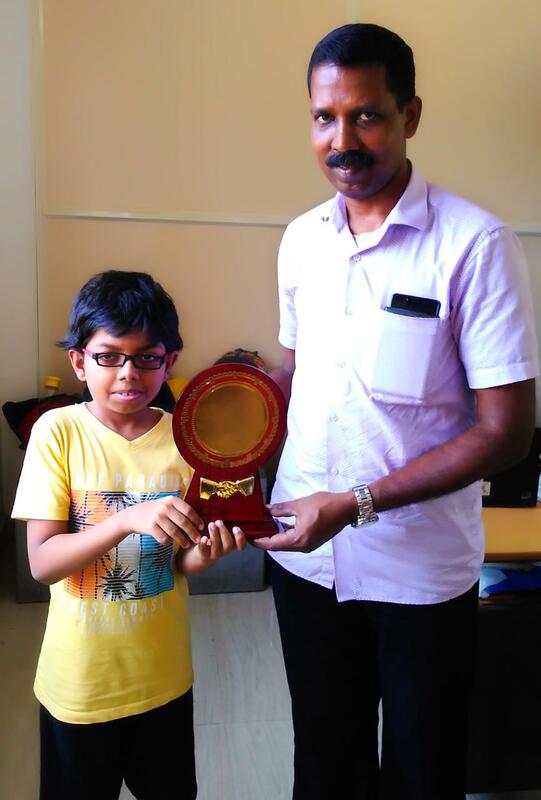 Vacation Classes Starts from April 1st in Trivandrum and Calicut. 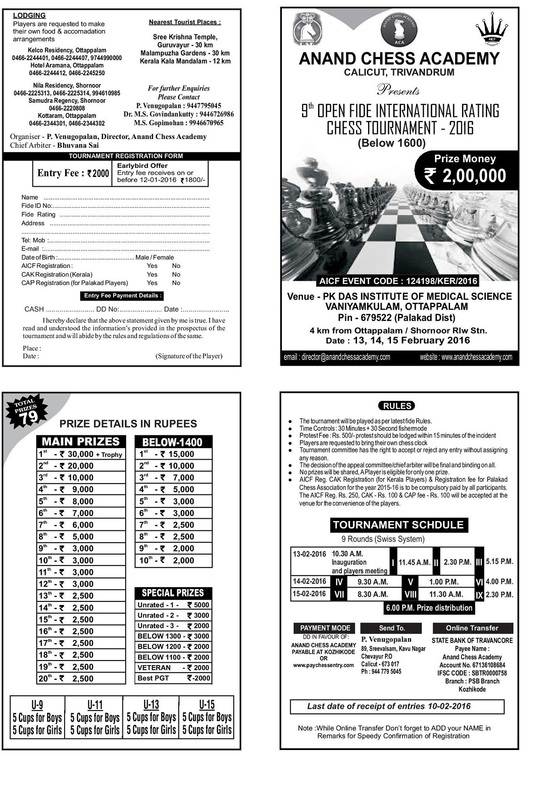 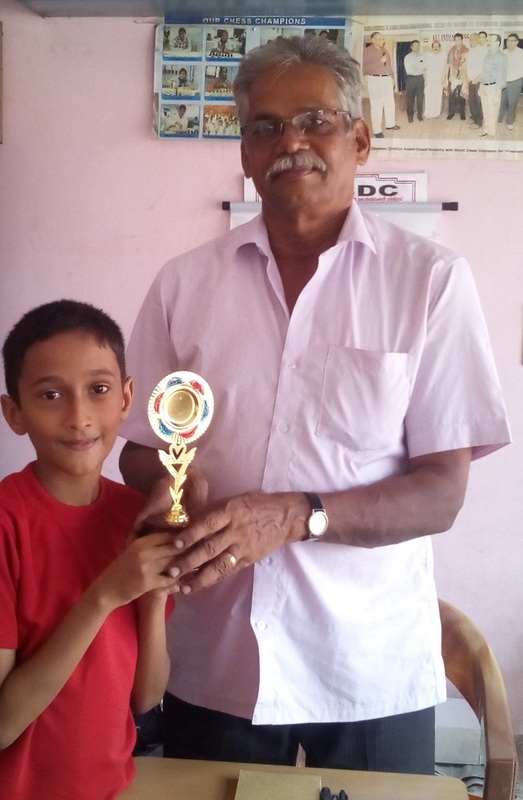 Chess lessons for children in the age group 5½ to 15 at Anand Chess Academy,AKN Arcade , Golf Link Road, Calicut. 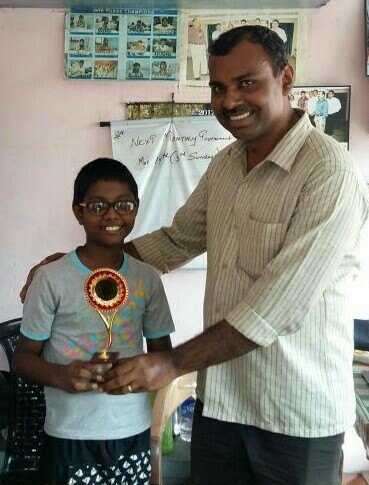 Individual Special Coaching Facility available all days between 10 a.m - 9 p.m on demand at Trivandrum and Calicut. 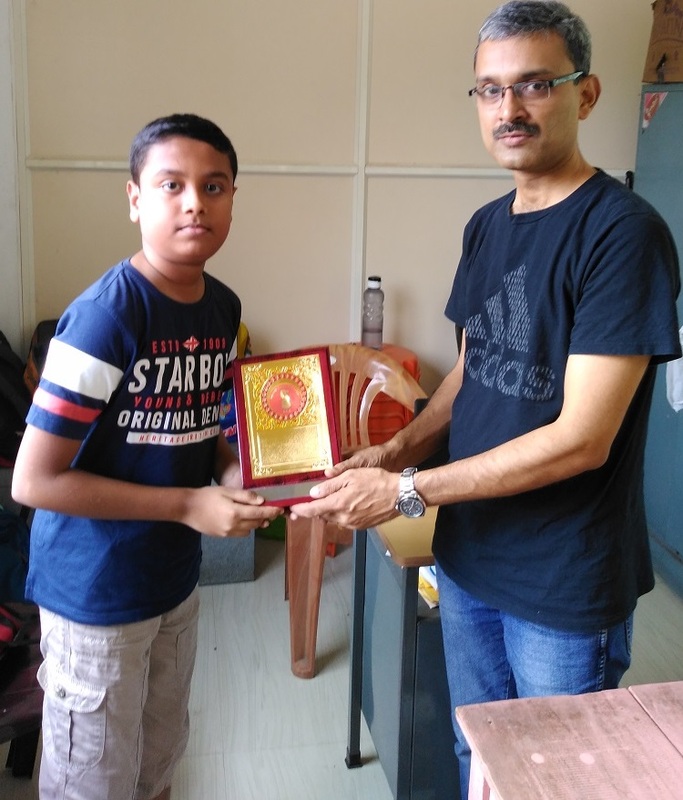 Farriz J 7th time Champion,he started 2019 with (4/4) win . 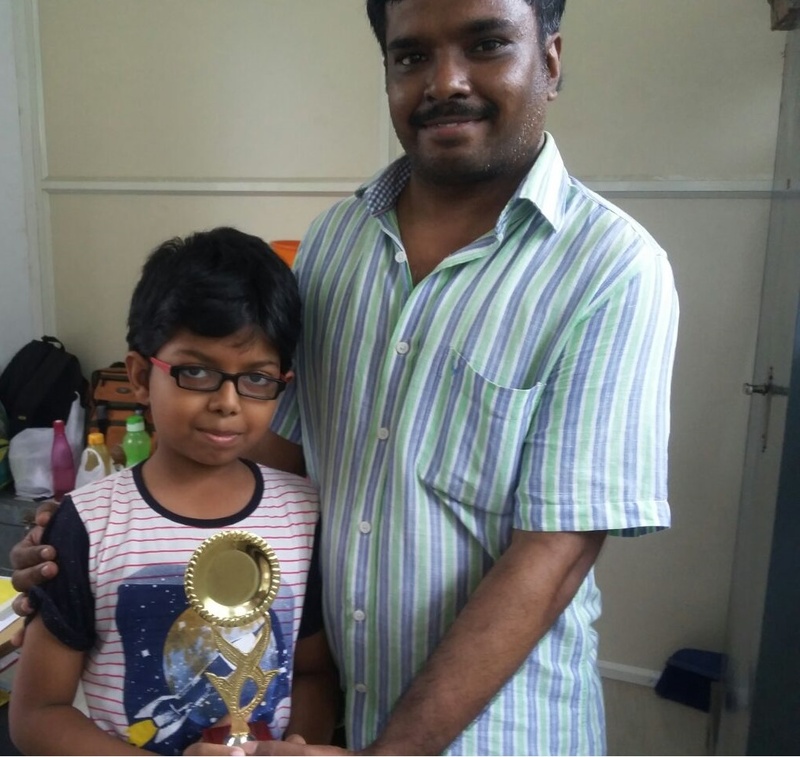 Goutham Krishna's 2th Championship Title,he just earned his FIDE Rating in Below 1400 FIDE Tournament . 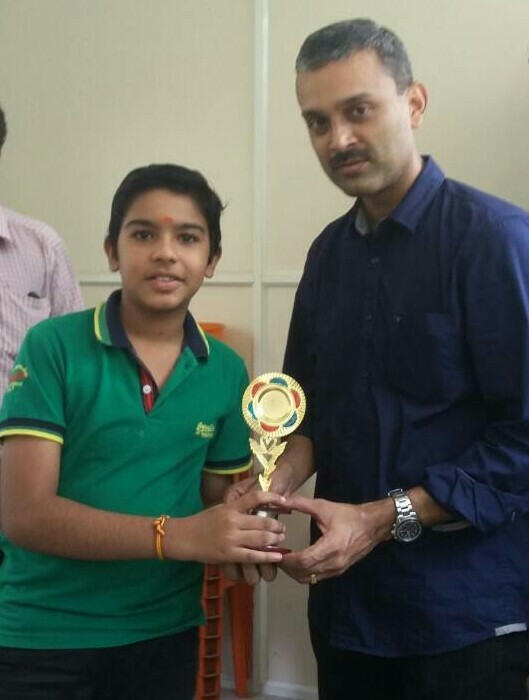 A better tie-break score help Thushar Varma to claim his 4 title. 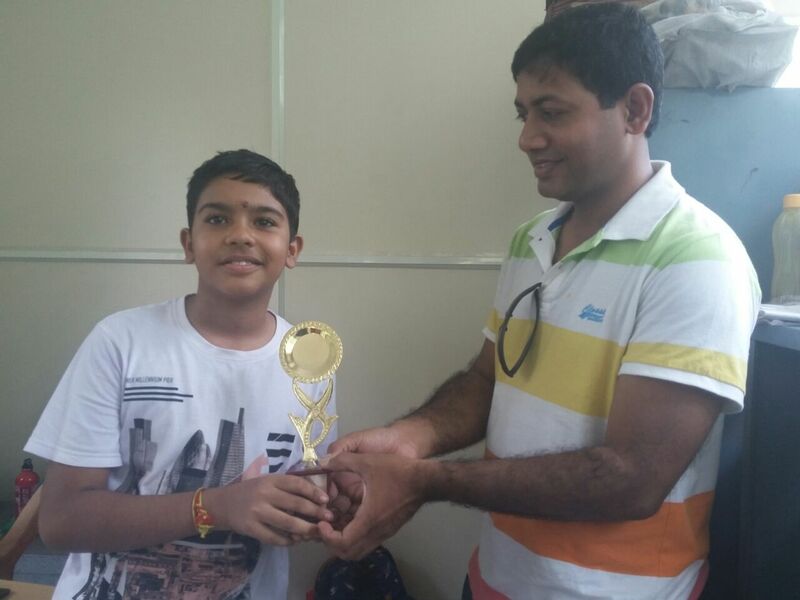 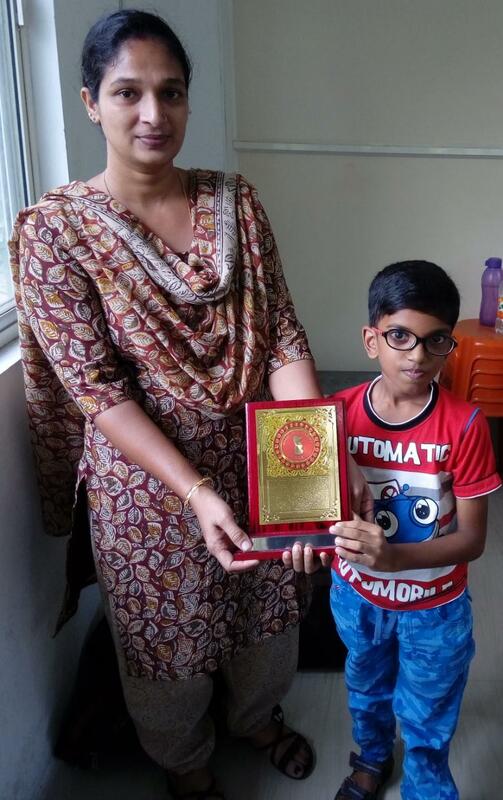 Farriz J 5th time Anand Chess Academy Champion. 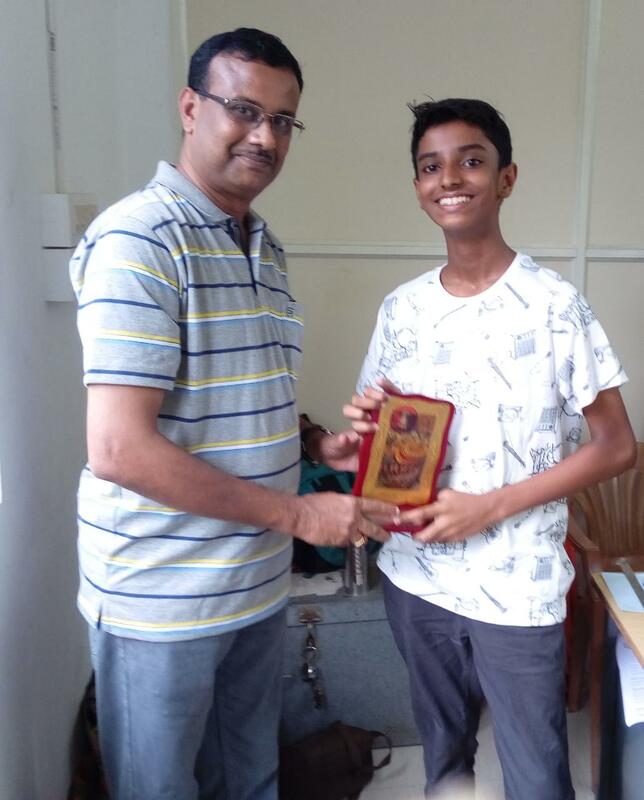 First Tournament win for Rahul P Nair after joining Academy. 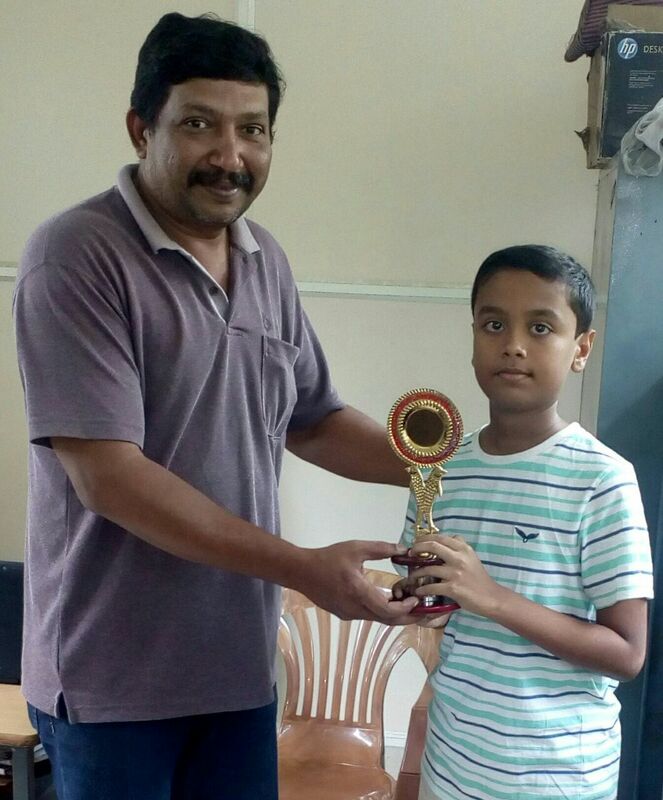 Thushaar Varma who has been in top form scored 5 wins in a row. 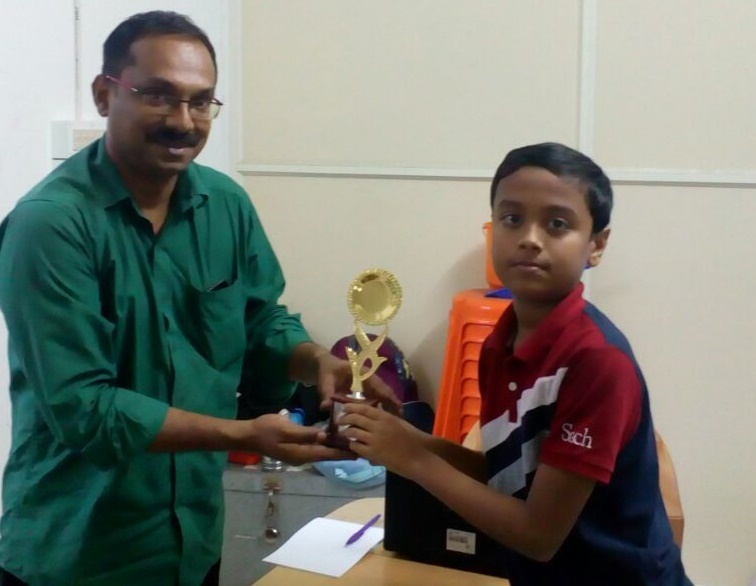 With 2 Monthly Championship Win in this year ,Farriz ended year at High. 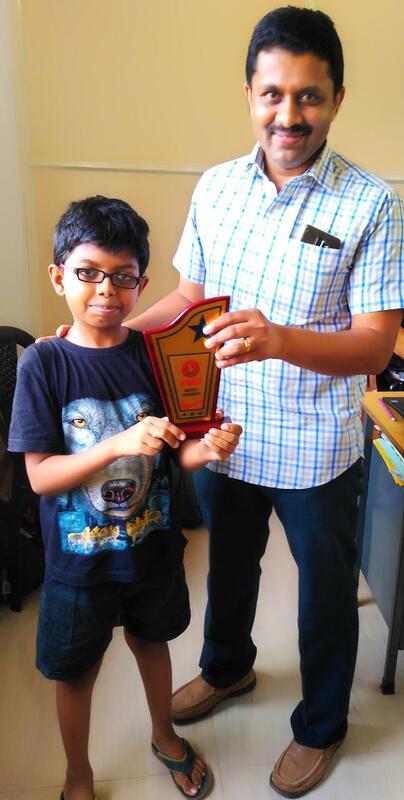 Mishal Nair became November Monthly champion winning all rounds. 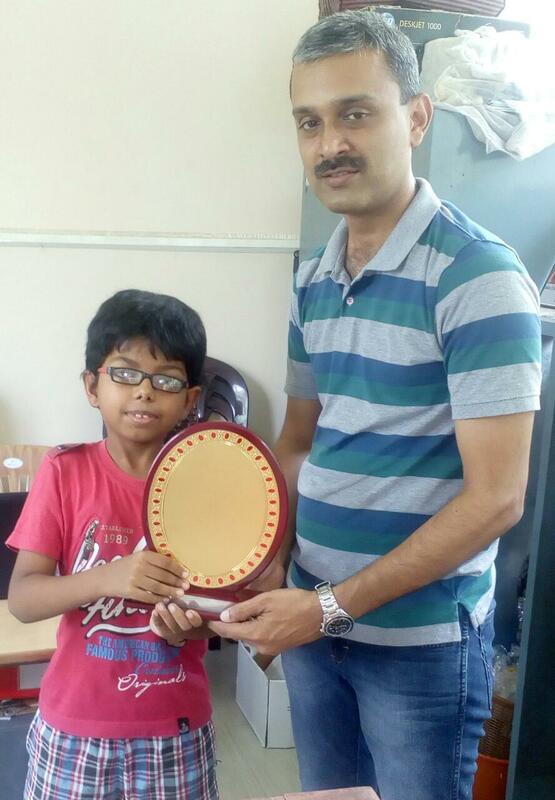 Tushaar Verma done it again ,he became October Monthly champion by drawing last round with Black pieces. 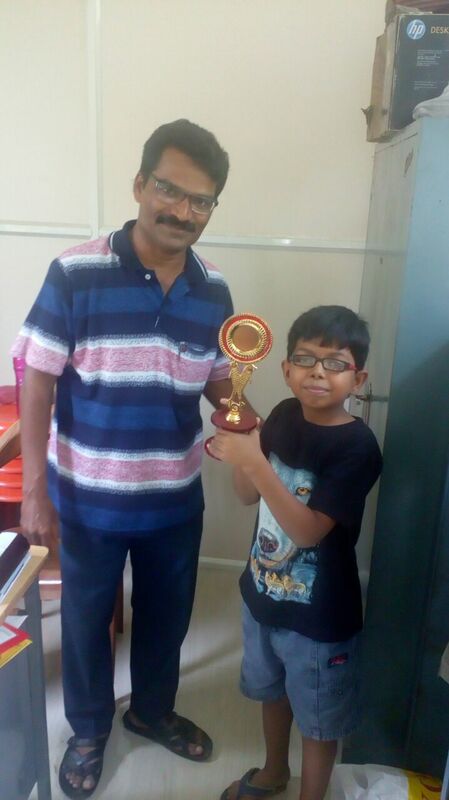 First time in the history of ACA Monthly Series, previous monthly winner retained position. 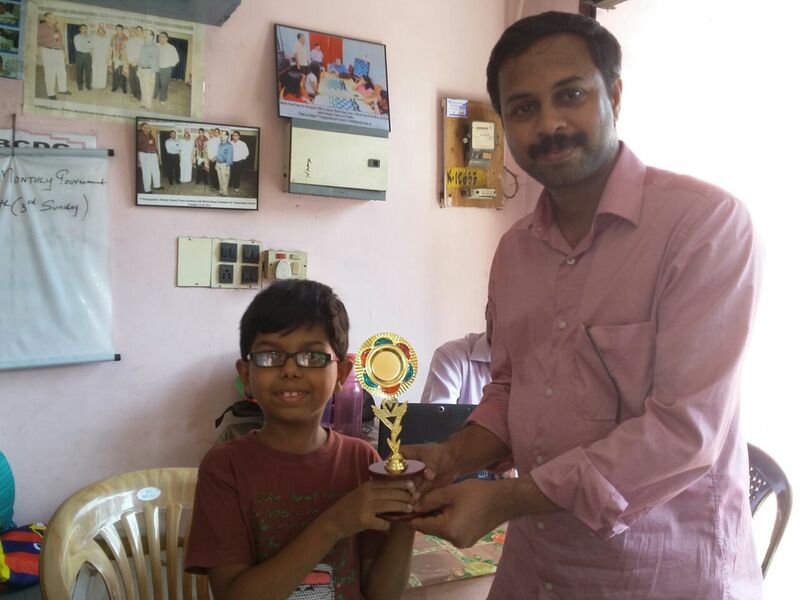 Even though 1st Tournament of 2017 did change some usual names in top three,Peter M scored (4/4) and became Champion. 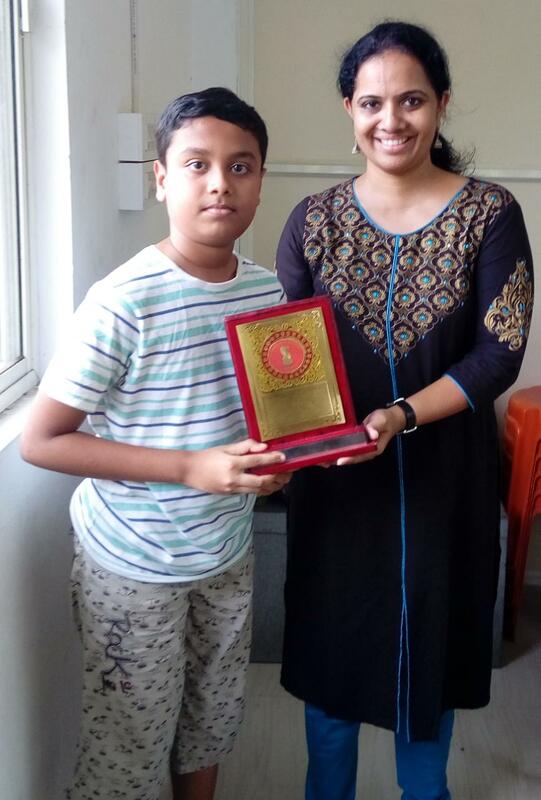 December Monthly Tournament winner got decided only on 3rd tie break system,Farriz j who had a better Progressive score became Champion. 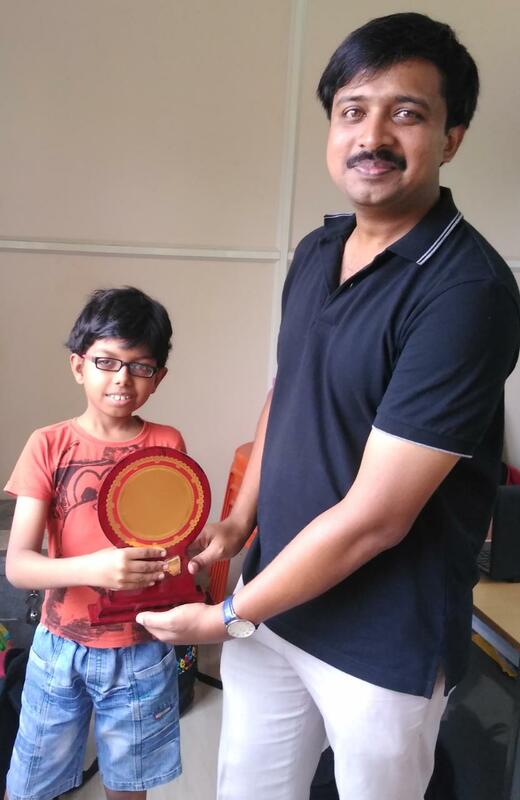 We got a new Champion in September Monthly Peter M ,winning all 4 rounds. 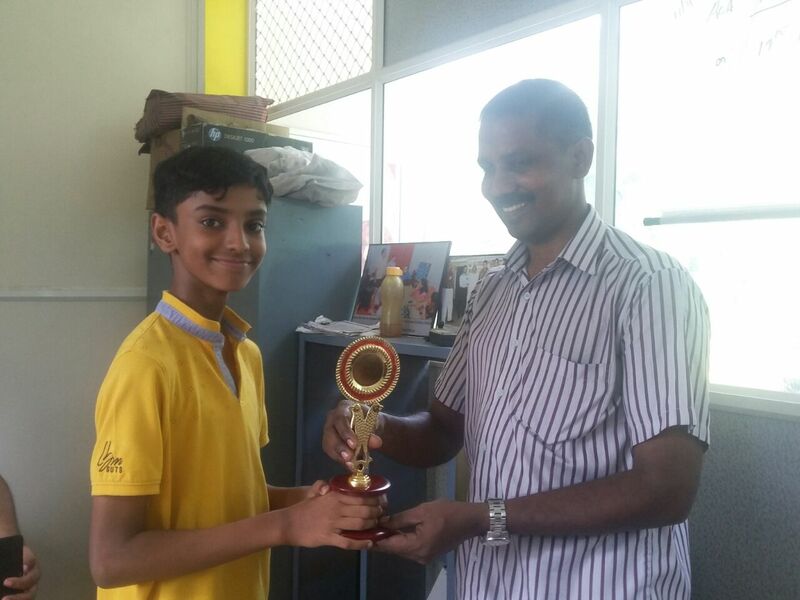 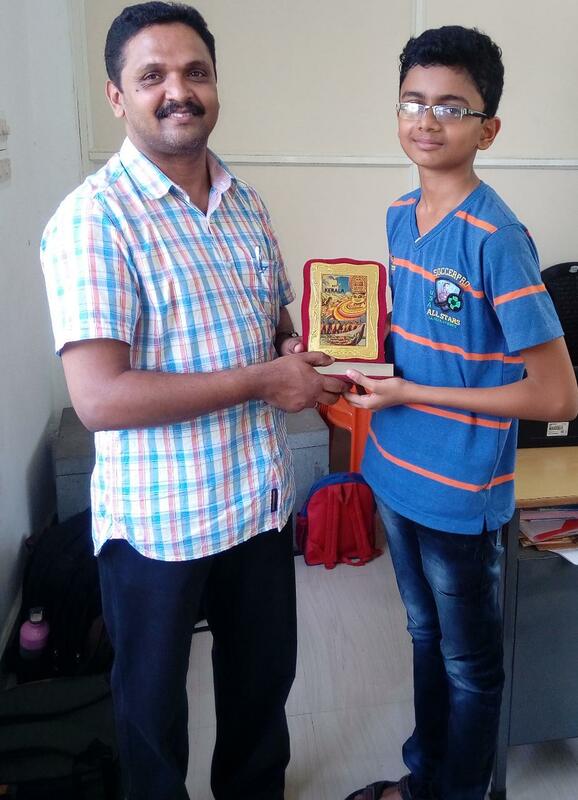 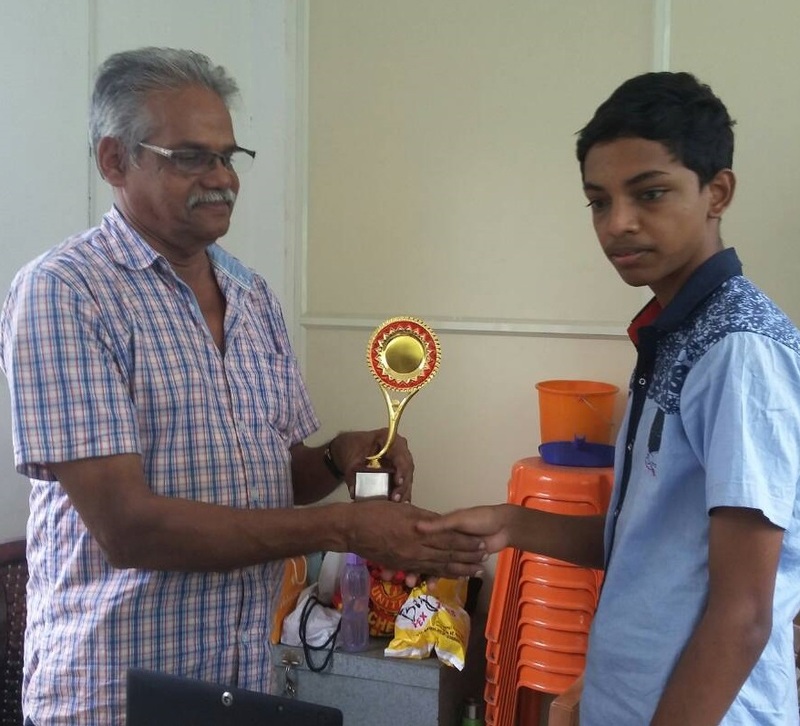 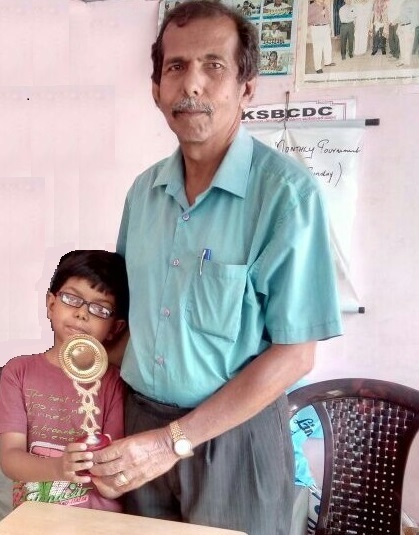 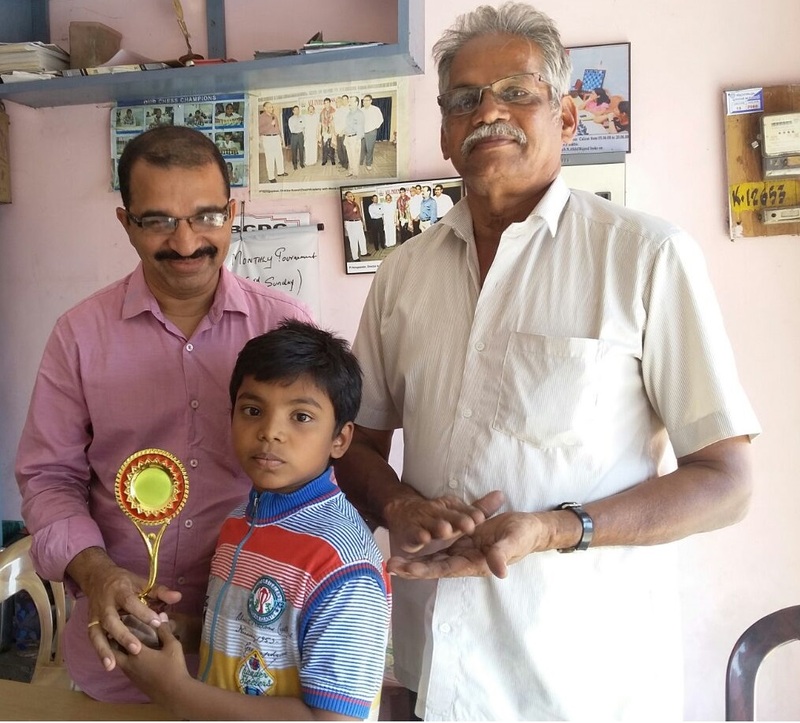 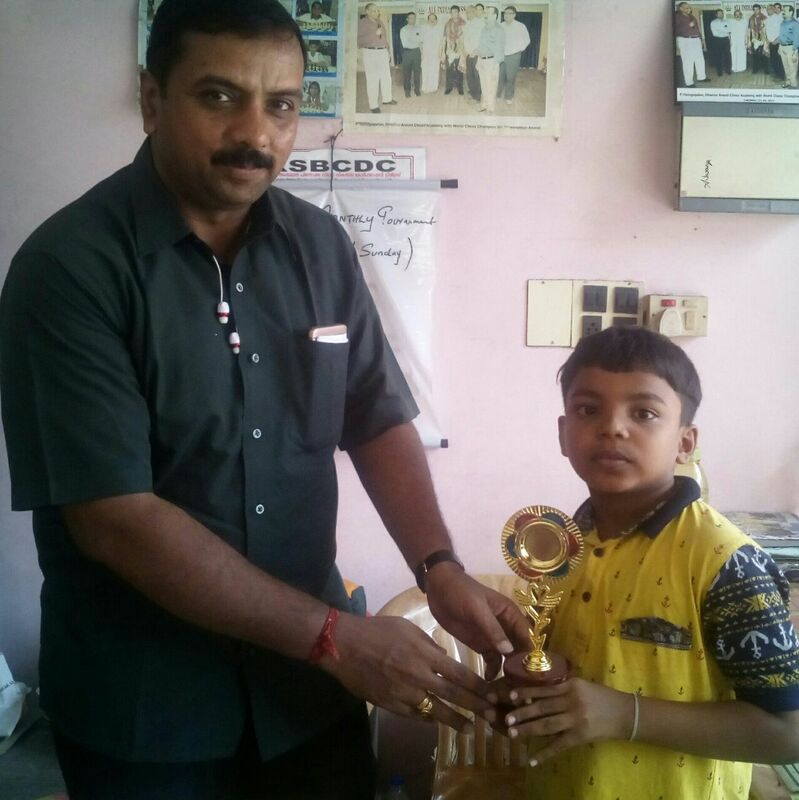 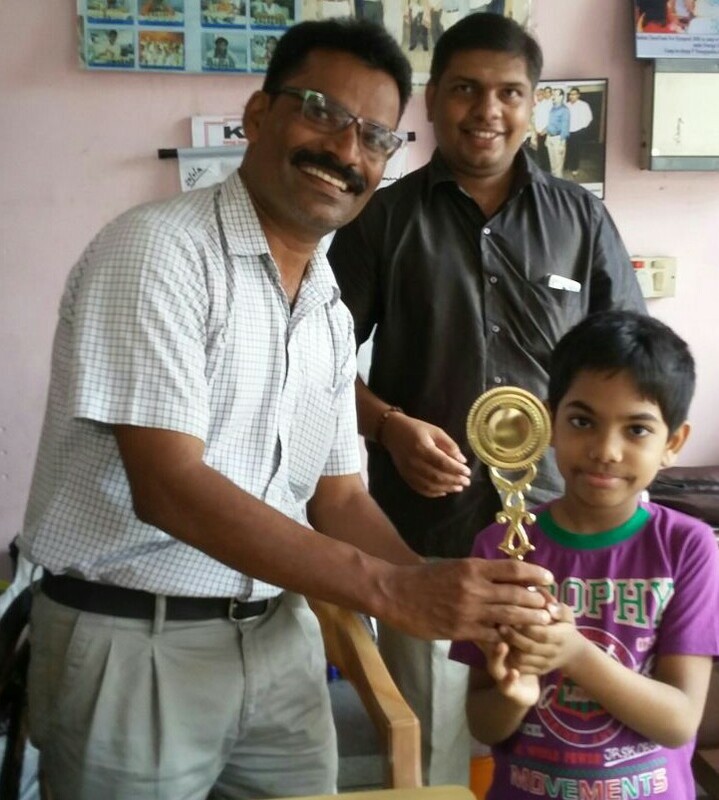 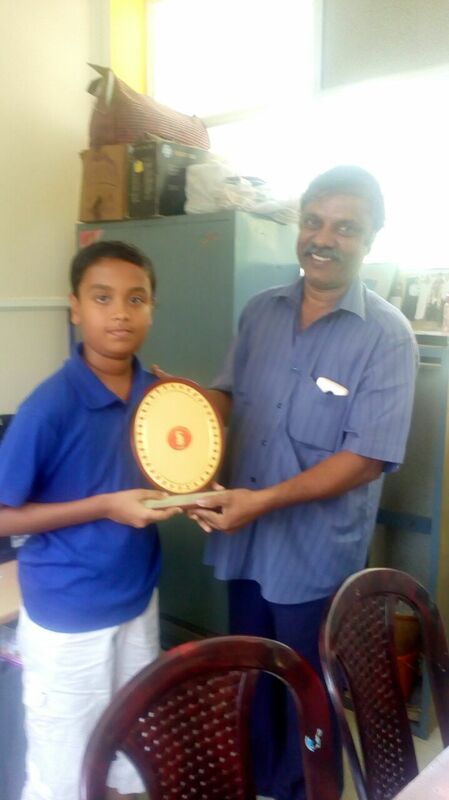 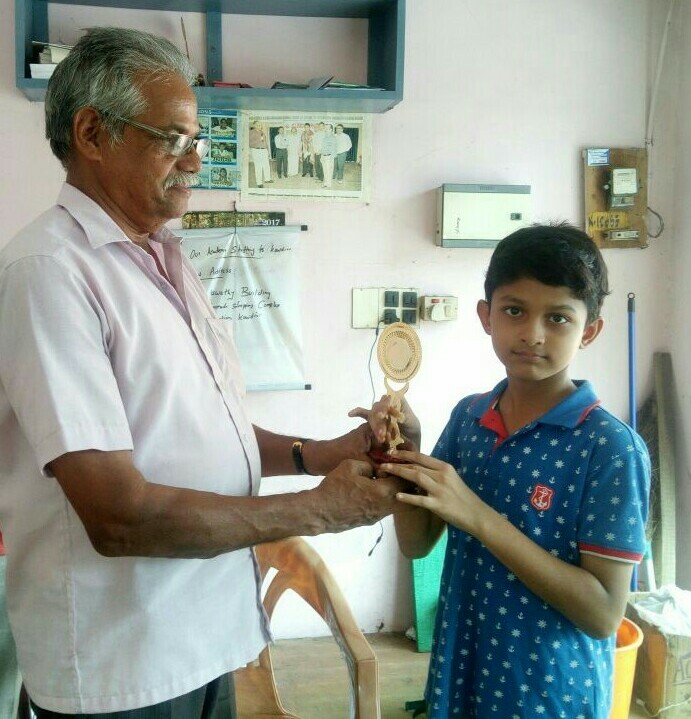 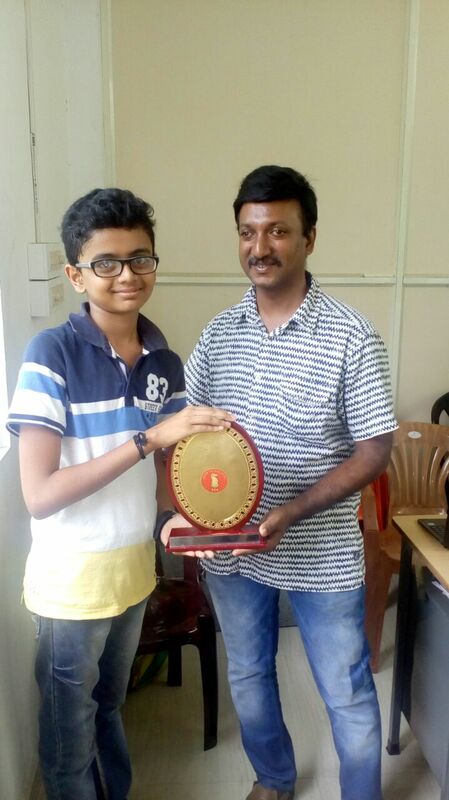 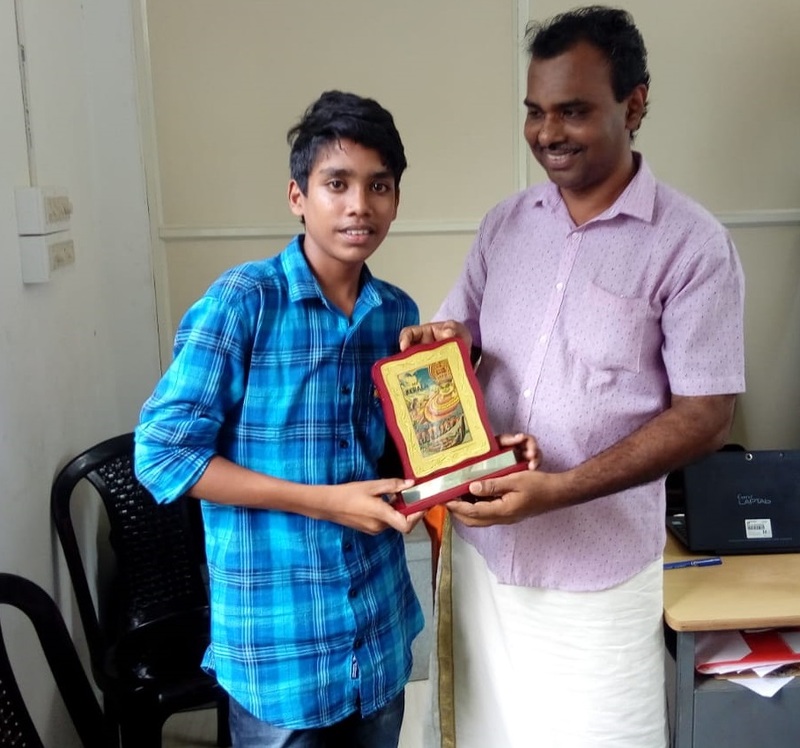 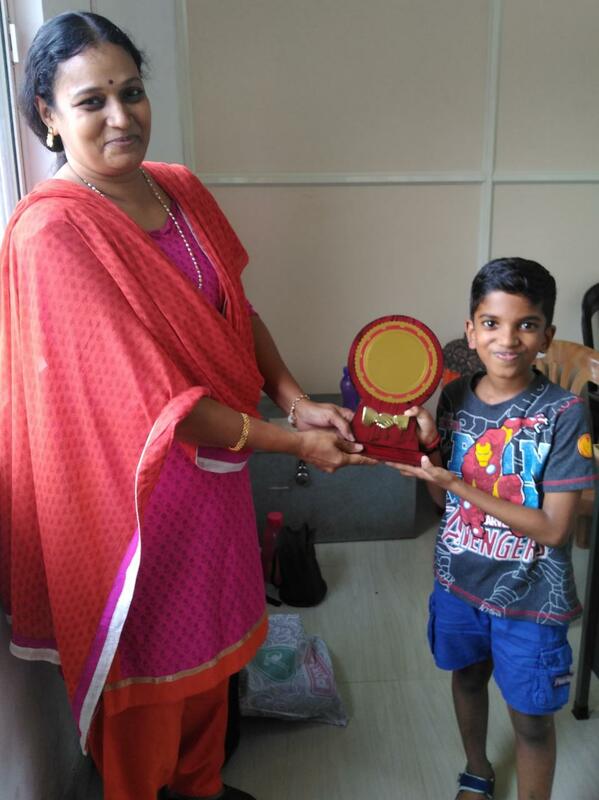 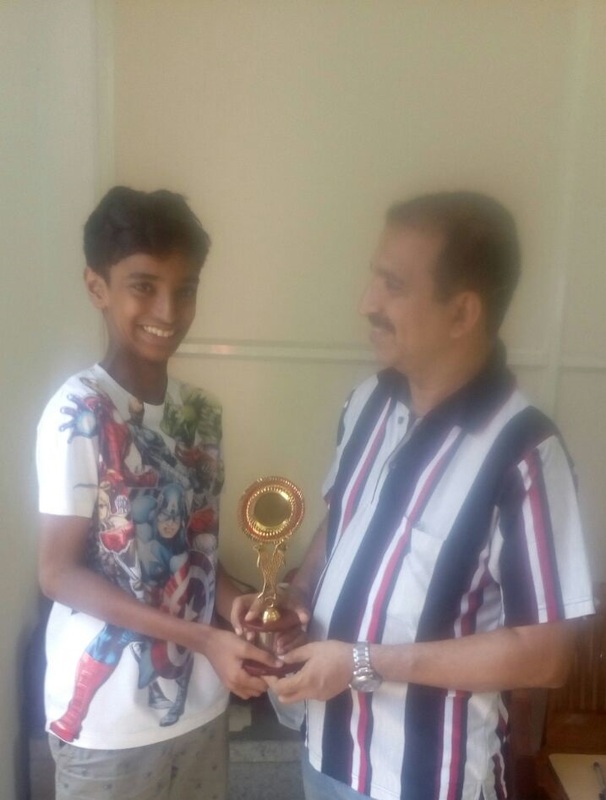 Winning All rounds Aravind Somarajan crowned Champion in July Monthly Tournament at Anand Chess Academy. 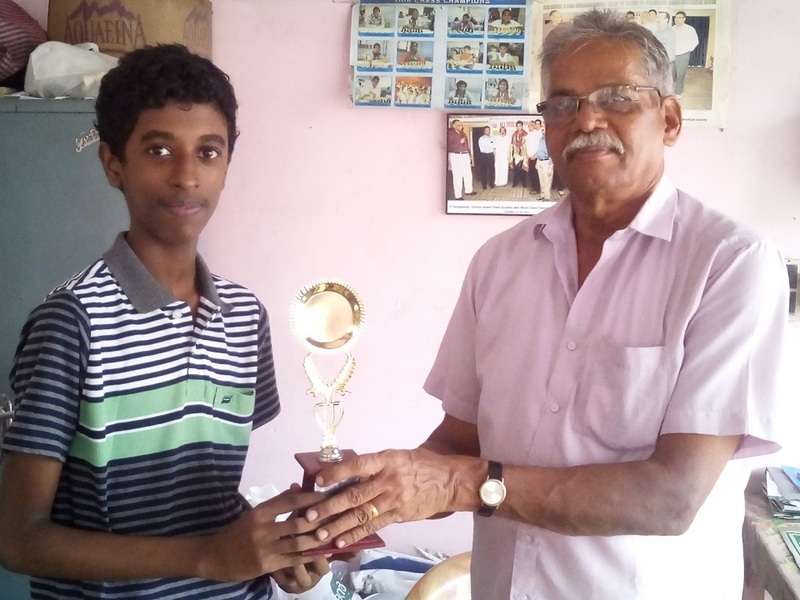 3rd Round he defeated last months Winner Vishnu Menon. 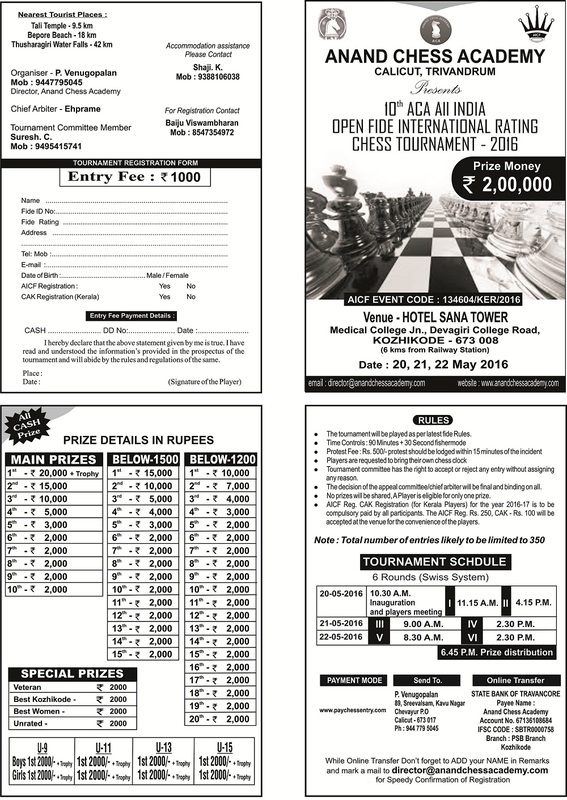 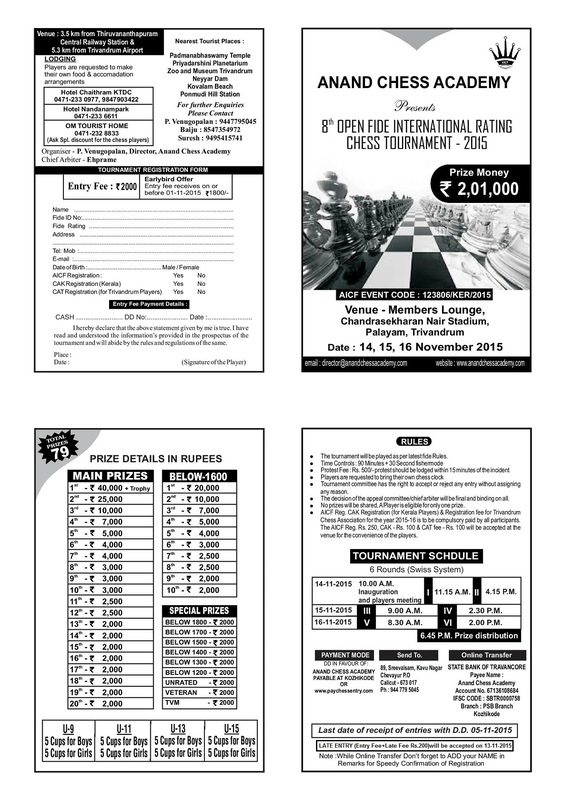 Long Wait after a Tournament is Over .Visit www.initialrating.com to see your initial Rating.